This term year 8 studied an Introduction to Robotics. 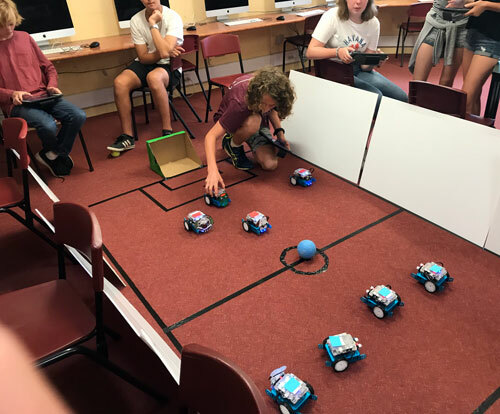 Students assembled a small programmable robot kit and designed programs to control the motors and various other sensors. The year wrapped up with a robot soccer game. Red team won 1 – 0 after Blue team scored an own goal!